Do You Have Ancestors in the 1925 Iowa State Census? This was an entry for the year 1925. I was amazed to see that for this particular year, they had asked for the name and birthplace of each of enumerated person's parents. I already knew his Charles' parents names but think of the potential info for an ancestor who is the head of household. You'd get names and birthplaces for his parents and his in-laws. They also ask for Place where the parents married. I'm so envious of anyone who has ancestors in this census. What I wouldn't give for this information for those of my ancestor. I have a few siblings of my direct line who lived in Illinois, Indiana, and Ohio so I'm going to check this database for the rarer surnames. I might be able to also check for the more popular ones if I narrow down by location. Not sure that Ancestry's search is working correctly but it always seems to work better when I'm searching in one database. There are two pages(images) of information so be sure to check the one immediately following your household of interest for the second portion of the household's entry. I did a quick search for Acuffs(main surname, father's surname, and mother's surname. Anyone doing a One Name Study should check out this database. The year 1925 was one in which there was a great deal of "moving around" in the US. During that time period, many of my Tennessee relatives were heading to other cities and states looking for work and were not where you'd expect them to be. There are a variety of earlier Iowa state census records in this collection. The information collected varies from each census to the next. If you aren't subscribed to Ancestry, you may be able to access it on-site at your local library. The Family Search Library also has several of the Iowa State Censuses including the 1925 Iowa State Census. You will need to have a FamilySearch account(which is free) and you don't have to be an LDS member to use FamilySearch. Those that have tested at 23andMe on the new chip(starting Aug of 2017) cannot upload to the main GEDmatch database but can upload to the GEDmatch Genesis section(currently in beta). I had updated the "Download from Test Site & Upload to GEDmatch" post to show changes but I think the information on the GENESIS upload may be buried in that post. That said, I thought I'd post this specifically for those who tested at 23andMe and received their results after July 2017. To download your Raw Data from 23andMe log on to your account if you have multiple kits associated with your acct make sure you have selected the proper test. Select the Tool option and then click on Download. You should see a page similar to the one below. This page contains information about the raw data file. Scroll down and select the "Submit Request" button. Follow directions on that page for obtaining the file. You will need to register if you don't already have a GEDmatch account. Log on and select Generic Uploads as shown below in the highlighted section of the screen capture. Follow the directions on that page and make sure you wait for the file to upload. Once it uploads you should see a notice and the kit number. These upload instructions will also work for any of your other DNA results from AncestryDNA, FTDNA, earlier 23andMe, or MyHeritage files that you have downloaded and wish to upload to Genesis. I've been trying to come up with a way to use the information about the matches that I have at MyHeritage to further my research. I have two siblings, my Mom, and my paternal Aunt's tests uploaded there and have been doing comparisons. I had noticed a good bit of matches from Finland prior to MyHeritage updating their match algorithm but now we have 79-109 matches from Finland. I thought it might be a good idea to look at those matches for each of us and see where they matched. I looked at the ones which were medium confidence(which was pretty much just the first page...the others were low confidence matches) The matches that we both have, match us exactly the same--no variation in cMs. They also match our Paternal Aunt. All match on Chr 2. This is a segment that I have identified as having been passed down from my Paternal Grandfather. There are also matches from Sweden and Norway overlapping. I painted those in Jonny Perl's DNApainter shown below. The matches I painted were the largest from each of the three areas that overlapped near the end of Chromosome 2 a bit beyond what is considered a pile-up area. In addition to sharing these matches with my paternal aunt, these matches are in the segment that has been visually phased as coming from my Paternal Grandfather, Tom Cooke. See the image below showing the phasing completed by using Steven Fox's Visual Phasing spreadsheet(available in the files section of the Facebook Group The Visual Phasing Working Group) The Visual Phasing chromosome ribbons are:(Top to Bottom) Me, my Sister, and my Brother. Click on the image to enlarge. I've never put much into the ethnicity estimates but seeing the increase in matches in common and from a specific region, I'm wondering if this is a "footprint" of a distant ancestor from that region(s) or if it is from imputation. The few matches from this area that I'd seen prior to the results of my uploaded kit at MyHeritage were from those who had tested with FTDNA. The majority of testers at AncestryDNA are from the USA and UK. Now that MyHeritage has a chromosome browser, I was able to compare the segments and see if they triangulated. They do triangulate for a segment of about 13.6 cMs. The figure below is from the comparison tools at MyHeritage and I've included a smaller additional match from Finland as well as the ones in the previous example. The comparison without the additional match from Finland yielded the same results of a 13.6 cM triangulated segment. I've not yet identified my 3rd Great Grandparents for YDNA line. My brother has tested and we found the group of Cook(e)s to which we connect, however we lack about 3 generations to connect. Could this be from that line? Certainly not anything close in as the connection is English. It may be further on back in any one of my paternal grandfather's ancestors(shown in the screenshot of the fan chart below made using tools available at Rootsfinder.com). The ancestors in the blue area of the fan chart are those in my paternal Grandfather's line and are all in colonial America. The majority of them, including the YDNA line, were in Granville County, North Carolina with earlier ties to Isle of Wight, Virginia. I'm really not so sure that it is a valid segment and not one created by imputation. Even if it is a valid triangulation the segment could be many generations back. I will keep this in mind and if I find out anything further, I'll do an update with the additional information. My takeaway from RootsTech 2018: An end of day review from a #NotAtRootsTech perspective. Living DNA's Live Stream session was one of my favorite parts of Wednesday's RootTech. I'm excited to see their One Family One World regional projects. You can find a listing of them here, about halfway down the page. The page also contains information about what those who upload tests receive as well as a link for those who wish to apply to be a part of the other regional projects. I'm particularly excited about 4 of the regional projects--Ireland, Germany, Nordics & Baltics, and Scotland and plan on spending some time checking out the project maps. They offered up a great sale for attendees and made the test available for $49. Those of us #NotAtRootsTech were given the opportunity to purchase their test which is currently on sale for $99(+ delivery) and use a coupon code for an additional $10 off of the regular price of $159. My most favorite part of Wednesday was the Innovation Showcase where Jonny Perl won with DNA Painter. This is a new easy-to-use chromosome painting tool which I find EXTREMELY valuable. If you are into genetic genealogy and haven't tried it out, you should. If you are on Facebook, you should also join his DNA Painter User group as well as Blaine Bettinger's Genetic Genealogy Tips & Techniques Group. Was a bit under the weather Thursday so my main goal for the day was to watch the General Session with Brandon Stanton. Brandon's photography and storytelling blog, Humans of New York is awesome! In other news, the MyHeritage Chromosome Browser should be rolled out Friday! Yippee! Friday began with internet connectivity issues popping up that were just enough to keep me from being too productive. Fridays are generally my grocery day too so I'm going to have to rewatch the Scott Hamilton session & Robert Kehrer's Finding Elusive Records at FamilySearch. Had a chance to check out the MyHeritage Chromosome Browser and I went digging around in the matches from Finland, Norway, and Sweden that are matching several on my paternal side of Chromosome 2. I need more hours in the day to dig thru this. An alert from the RootsTech App about Heredis Software gave me another item to add to my To-Look-Into list. Started off Saturday with an appointment for Xfinity tech to check my net connectivity issues. They are going to have to rewire so have that scheduled later this month. Not the best news but having it fixed will be as it is hard to be productive when you lose the internet about 4 times a day. A Thank You note from a researcher I helped start out on the search for her Dad also helped make the day better. She found him & 2 half siblings!! Excited for her! 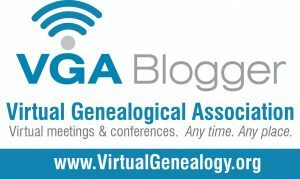 Watched Anna Swayne's Advancing your Genealogy Research with DNA. She always does a great job and gave away some AncestryDNA kits to attendees. Curt Witcher's Pain in the Access: More Web for Your Genealogy session might have been the last live stream session, but I hope that folks stuck around. It was full of info about how to search libraries, state archives, historical & genealogical societies and much more. If you missed the live stream sessions, check them out at the following link. In case you are wondering, RootsTech 2019 will run February 27th thru March 2nd.